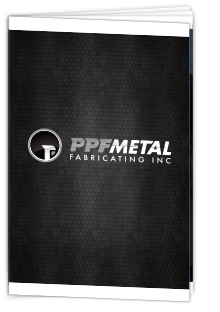 PPF Metal Fabricating Incorporated is based in Dundas, Minnesota. Founded on the principals of superior craftsmanship and custom design solutions, PPF will work with you from start to finish insuring you received the highest standards in custom metal fabrication. We believe in service beyond expectation, achieved through a constant desire to anticipate and fulfill evolving customer needs. We are dedicated to pushing the limits of excellence, standing at the forefront to provide the finest and safest environments attainable in the industry. Contact us today for a free estimate or to set up a consultation.